I love this weekend, for many reasons. 1) Because it makes it seem like we’ve still got a little bit of summer left, even though everyone’s back at school and the air has started to take on that undefinable heading-into-Fall quality. 2) Because we always head to my family’s lake house in the South Carolina Blue Ridge mountains for some much needed swim, boat, ski (okay, so I may not ski this year, what with having had a baby almost 4 months ago and all) and down time with family and friends. And 3) because it’s the start of football season. Yes, I am one of those people. I worship at the altar of college football. For me, it’s the Clemson Tigers all the way. I’m an alumna. It’s in my blood, and it’s in my family’s blood (my great-grandfather was mayor of the town of Clemson for 17+ years). We even named my baby daughter for the Tigers. Really, her middle name is Tiger, and it’s my great-grandmother’s maiden name–but still. We’re diehards, so it works. Yes, you may not be Clemson fans. Probably aren’t. But you may share my love of college football. Or football in general. Or not. But bear with me. I LOVE college football! I LOVE Fall! I LOVE college football in the Fall! GO TIGERS!!!! The U.S. Department of Labor tells it like this: “Labor Day, the first Monday in September, is a creation of the labor movement and is dedicated to the social and economic achievements of American workers. It constitutes a yearly national tribute to the contributions workers have made to the strength, prosperity, and well-being of our country.” Started by the municipal courts, Labor Day legislation wasn’t passed by Congress until June 28, 1884. Here’s what was really happening: at this time in history, the Industrial Revolution, the average worker worked his or her fanny off over extremely long hours and for little pay–we’re talking 12 hours a day, 7 days a week just to eke out a living. Children as young as 5 and 6 years old toiled in factories, mills and mines to help bring in money for their families–for a tiny fraction of the wage an adult would earn (which wasn’t much to begin with). Can you imagine your elementary-schooler hauling coal in the pitch depths of a mine? I can’t. Most workers lacked access to basic good working conditions, like clean air, water, and toilets. The hardest hit were often immigrants. Labor unions began to form because of this, and the Labor Day holiday was born. 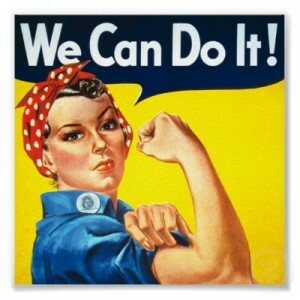 For the real story behind one of the icons of labor workers, the WWII image of “Rosie the Riveter,” click here. Today, we mostly celebrate by going to parades, eating hotdogs, hanging out at the beach/lake/park, and consuming adult beverages. We’ve come a long way, baby. * Information gleaned from history.com & the U.S. DOL. There’s an interview with memoirist and novelist Joan Wickersham in the September issue of The Writer’s Chronicle that I think is definitely worth checking out, especially for those of us who struggle with the dreaded “writer’s block” (to put it simply, though I kind of abhor that term). In the interview, Wickersham talks about the pressure we put on ourselves as writers to mine inspiration, especially when inspiration doesn’t come, and how that pressure is expounded by the evidence of other writers getting it done. P.S. I’m a subscriber and big fan of The Writer’s Chronicle, which is published by the Association of Writers & Writing Programs. The articles and essays are always top-notch, many written by the best writer-teachers in the field (psst … the faculty at Vermont College of Fine Arts tends to publish there a lot). If you haven’t discovered Pinterest yet, you’re in for a treat. 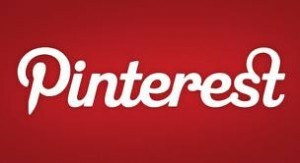 It’s like a massive, online pin-up board where you can share and collect anything and everything that interests you about anything and everything. I’ve posted several boards, and my newest one has to do with the sequel to Keowee Valley, which I’m working on–slowly, but surely; did I mention slowly?–these days. By no means complete, I’m going to add images that I’m using to inspire me, or images that may have something to do with the story. But that’s all I’m gonna share. Because I’m a believer in the “if you talk about your work-in-progress-too-much-the-bad-juju-will-get-you” rule. Check out my Keowee Valley … the Sequel board here, and see what sorts of adventures I plan to cook up for Quinn, Jack, Ridge Runner and the rest. I know, I know. Enough with the Clemson. But I can’t help it. It’s a very happy disease. 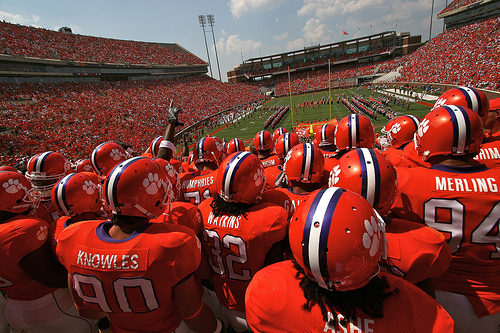 Saturday, ESPN Game Day will be at my alma mater, Clemson University, to showcase the biggest opening football game of the 2013 season: Clemson v. UGA, in Clemson’s Death Valley. Students waited in line 164 hours to get their football tickets this year! And here’s what USA Today had to say about it. To get pumped up, go here. I hope you all have a wonderful, relaxing, and well-earned Labor Day holiday! This entry was posted in Bell Bridge Books, BelleBooks, bloggers, Fall, family, historical fiction, historical novel, inspiration, Katherine Scott Crawford, Keowee Valley, Uncategorized and tagged Clemson football, Clemson University, Clemson v. UGA, ESPN game day, Go Tigers, Joan Wickersham, Katherine Scott Crawford, Keowee Valley sequel, Labor Day, labor history, new board, Pinterest, Rosie the Riveter, The Writer's Chronicle, unions, US DOL, writing. Bookmark the permalink. Eileen just forwarded your Friday blog. I thoroughly enjoyed reading it ,would you please add me to your list. Thank you. I’m so glad you enjoyed it! If on the main page you enter your email address under “Subscribe to Blog via Email” you can get it that way. Or, you can email me at thewritingscott at gmail dot com, and I can enter it in! WOW!! Just got through reading your “Show and Tell” I LOVE COLLEGE FOOTBALL!!! And I LOVE CLEMSON TIGER FOOTBALL!! Am I excited??? Dagum right!! We are headed over to the stadium right now to load our locker in the “End Zone” and we will be able to soak up some atmosphere as if this week hasnt been enough LOL. Enjoyed your post today as always but today is special. GO TIGERRRRS! WHAT A GAME!!! Hope you were there, Paula! And so glad you liked the post.